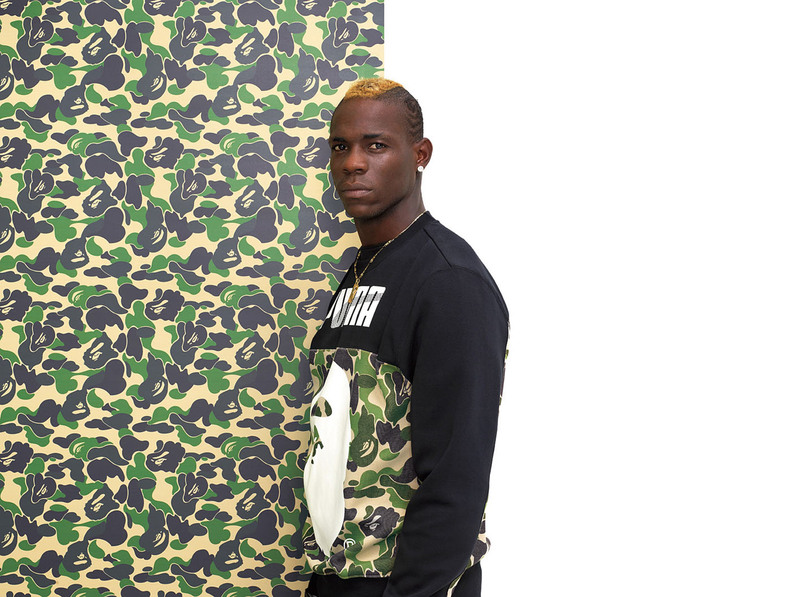 PUMA partnered with Japanese street label BAPE®, also known as A Bathing Ape®. 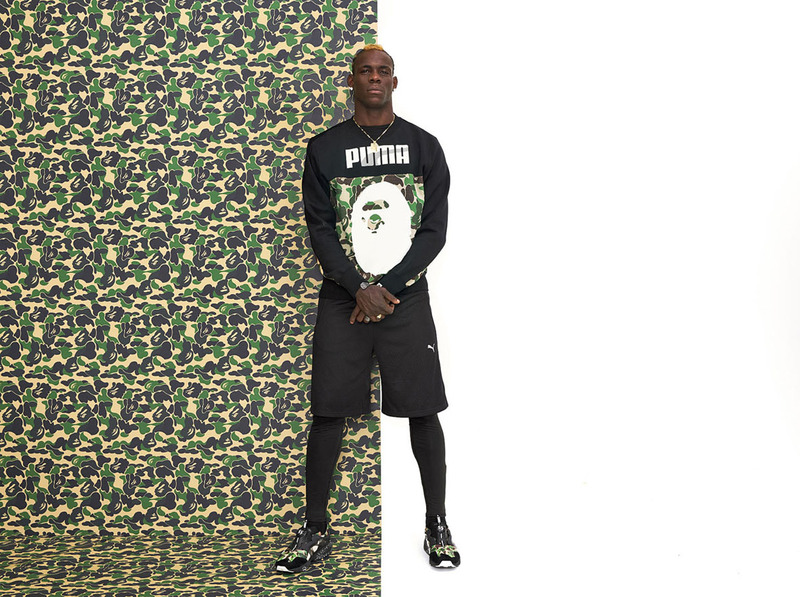 The PUMA x BAPE® collection fuses high street style and sports, integrating BAPE®’s iconic camouflage print and graphics into PUMA’s sports performance apparel and footwear. Founded in 1993 BAPE® has elevated lifestyle streetwear, setting trends and influencing musicians and artists around the world. By applying its unique design aesthetics to some of PUMA’s most classic and well-known styles, BAPE® has created a unique capsule collection. The original ‘90s Trinomic R698 sneakers have been given a distinctive re-fresh with BAPE®’s black camo design, while the DISC Blaze has been given an equal camo flash in a classic green camouflage print. The Blaze of Glory, an icon known for its material play as well as its tech and sporty sole, has been merged with BAPE® for an all-over design treatment. Designed using 2015 team replica football jerseys, the FC BAPE® Replica Shirts (R999) have a camo print in addition to reflective piping on the sleeves for a streetwear edge. The shirts can be coupled with the FC BAPE® Replica Shorts (R999) in the collection. The BAPE® Training Jacket (R1 999) has an original PUMA X BAPE® tape design on the sleeves, while the apparel collection is completed by the BAPE® Shark Hoodie (R2 499), based on the iconic and best-selling design from BAPE®’s mainline. 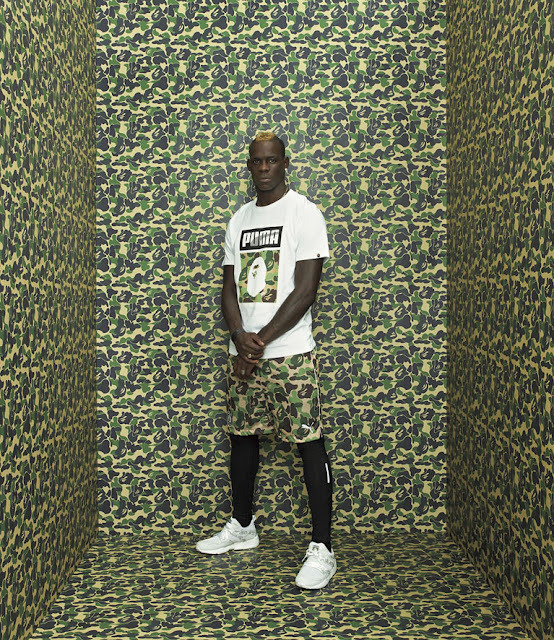 The PUMA x BAPE® collection is available at PUMA SELECT stores in Bree Street, Cape Town and Braamfontein, Johannesburg from 12pm on 12 December 2015.